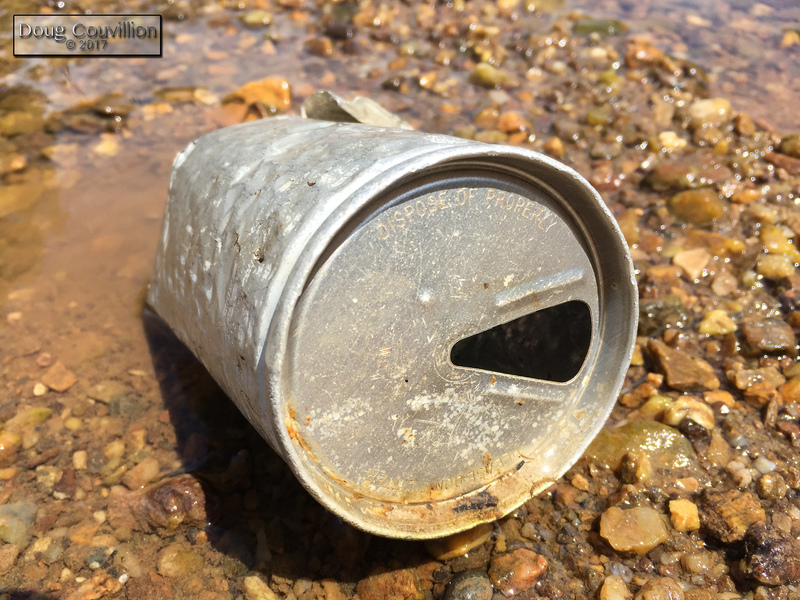 I found this can on a recent trip to the Rivanna River. My friends and I were trying to recall when beverage cans replaced pull-top tabs, like this one, with pop-top tabs. To the best of our recollection these cans were out of circulation by the early 1980’s. That would make this can roughly 30 – 35 years old! What’s even stranger is last year on the same river I found other pull-top cans. When I found the can it was at the bottom of a shallow part of the river. Seeing the words “DISPOSE OF PROPERLY” stamped into the top of the can gave me the idea for this photograph.